Port of Hamilton – Hamilton, Ontario, Canada | World Shipping, Inc. The Port of Hamilton handles the largest volume of cargo and shipping traffic of all Canadian Great Lakes ports. Annual tonnage has increased steadily since the 1912 establishment of the Hamilton Harbor Commissioners — the body charged with responsibility for governance of the Port of Hamilton. That year, tonnage totaled 89,400 tonnes. Today, the Port of Hamilton averages volumes in excess of 12 million metric tonnes, ranking it among Canada’s top ten ports. About 11,000 metres of dockwall allow 700 vessels to berth yearly. 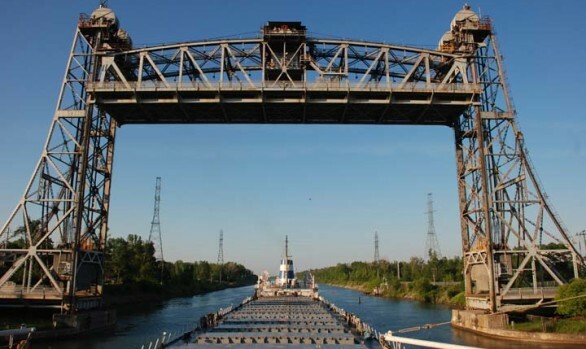 The Port of Hamilton is linked to two major Great Lakes shipping routes, the Welland Canal entrance sitting approximately 26 nautical miles from the Burlington Canal and the St. Lawrence River, approximately 151 nautical miles from the entrance into Hamilton Harbor.